Southgate Windows offers market-leading uPVC conservatory and orangery roofs from Global at competitive trade prices, complete with an exceptional customer focused service. Our double glazed roofs have a large scope for personalisation and come in a range of sizes and styles to suit any glass extension. Intelligently designed to transform your customer’s home to make a brighter and more spacious area. Based in Bridgwater, we can supply beautiful Global Conservatory Roof Systems to customers in Somerset, Devon, and surrounding areas. Precision engineered tie bolt to provide a strong anti-slip joint connection – These locking bolts eliminate any movement between the rafter and the bolt. The single bolt fixings are designed to keep your roof watertight and are concealed with internal decorative trims. Twin-skinned, insulated box gutter which reduces condensation. 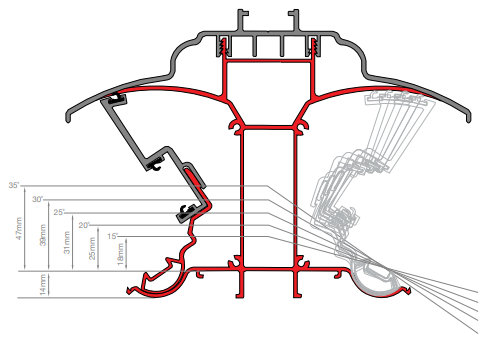 To ensure that you have a uPVC roof that you are happy with, the Global thermal roof is designed to create an elegant headspace and a number of bespoke options. 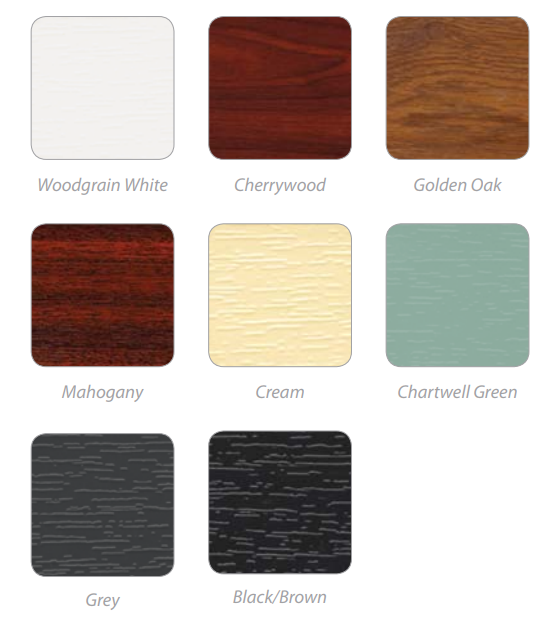 You can even choose from a range of woodgrain foil colours. Unintrusive elegant tie bars. These allow us to remove any bulky cross brace tie bars that may ruin the headspace. Internally and externally clocked valley. Our valleys are also entirely flexible to create a variety of pitches and angles. We offer aluminium top caps to prevent any discolouration, warping or rotting. Why choose Global Conservatory Roofs? A high-quality conservatory roof is a highly sought after home improvement product, popular with architects and designers for adding an injection of natural light to revitalise a conservatory to make it feel more open and airy. A uPVC double glazed roof supplied by Southgate Windows can create a focal point in a room that makes any glass extension feel more inviting and eye-catching. Today, the uPVC Global roof provides a roof of beautiful opulence as well as a host of innovative and high-performance functionality. Not only can your customers benefit from a state of the art home addition but they can enjoy increased energy efficiency, low maintenance, long-lasting design and more. Our uPVC roofs are perfect for replacing an old and tired polycarbonate roof and they are intelligently designed to increase natural light in an environmentally friendly way. The quality and build of the uPVC frames prevent cold air ingress, helping to decrease the properties energy bills and reduce the carbon footprint. Working alongside Synseal, the manufacturers of our advanced roofs, we create a cost-effective conservatory roof that can be installed swiftly and efficiently. We understand that every household and property owner has their own personality, style, and taste of home improvements. Southgate Windows ensure that we cater to the vast amount of personal preferences, by offering you a wealth of woodgrain foil colours. Our roofs can be customised internally and externally so you can offer your customer an endless amount of specifications to choose from. The Global roof is fitted with decorative caps as standard, as well as customisable aluminium top caps. These external top caps can be painted, or covered with woodgrain foils. 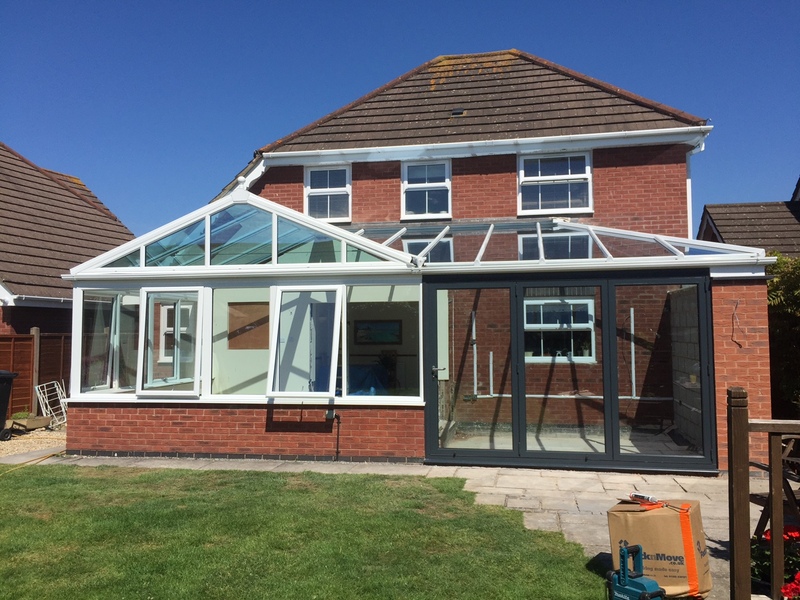 Available in different shapes and sizes depending on the type of extension, the roofing system that we supply to trade customers can also be incorporated into any shape and style of conservatory and orangery. They’re an incredibly versatile option that can suit a property no matter how new or old. 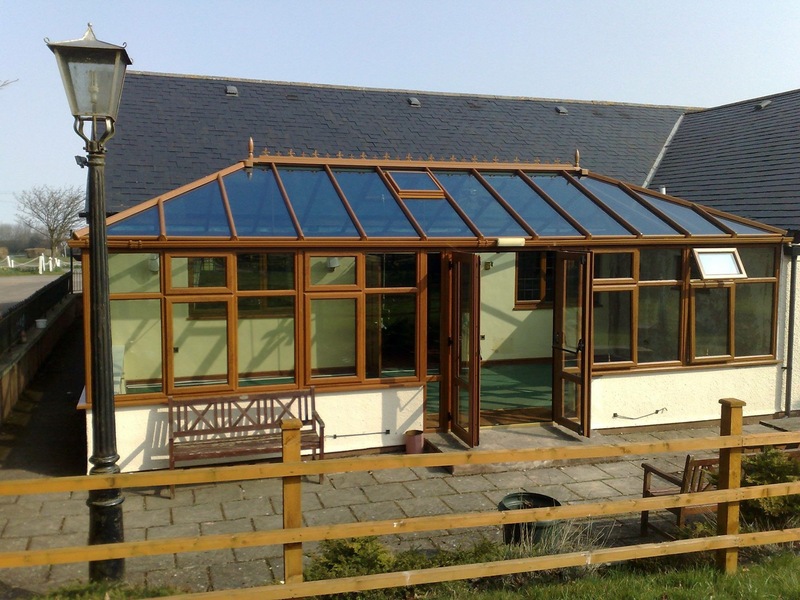 Our conservatory roofs are packed with features and functionality that your customers will love. Additional to them being energy efficient, they are also effective when it comes to making a home more eco-friendly. The cutting-edge design uses the most up to date and innovative techniques making them an excellent choice for customers concerned about contributing to a greener environment. Replacement uPVC roofs have been said to add health benefits to the homeowner as well, with the extra natural light flooding into the home boosting the immune system and lifting the mood and well-being of the inhabitants. It certainly creates a stunning and light space that all the family can enjoy. 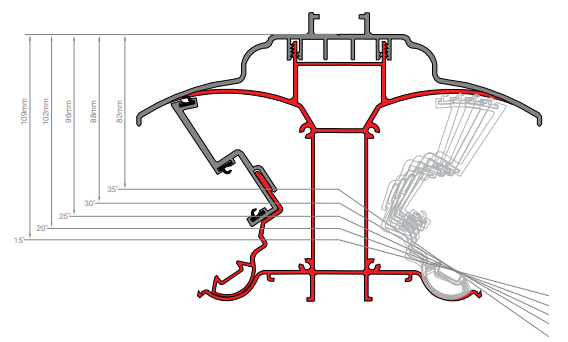 Intelligently designed uPVC frames for modern levels of energy efficiency. We can offer variable pelmets to promote a quicker installation: Quick, Easy & Versatile. A range of woodgrain foils and paints. Our conservatory roofs are of such a high standard that they will perform for your customers year after year. Southgate Windows are committed to offering our customers low trade prices. A uPVC roof to fit any style of conservatory or glass extension. No drilled holes guarantee a leak free roof and an attractive finish. Guaranteed quality and colour consistency thanks to the unique moulding process. Panels have been tested with 310-kilogramme weights placed directly onto the roof panels, equivalent to over half a meter of snow. Minimal maintenance needed in order to retain functionality and performance. This means you’ll be able to offer a product that helps you to reduce your aftersales. Extremely fast turnaround, usual shipping within just three days. Underside of ridge height based on wire frame. Top of ridge height, based on wire frame. Our experience in supply and fit has given us the wealth of knowledge required to create what we believe to be the most reliable trade supplier in our service areas. Our ordering process is fast and straightforward, simply speak to one of our advisors for more information. Southgate Windows is committed to offering the lowest trade prices for uPVC conservatory roofs, with free quotes and advice available for our roofing range. We provide our trade supply only Global roofs throughout Bridgwater, Bristol, Somerset and Devon. Including Taunton, Glastonbury, Weston Super Mare, Bath, Exeter and Barnstable. We are prepared to travel greater distances for certain projects. To discover if we can assist you with your building project, do not hesitate to get in touch. Southgate Windows offers the most competitive trade prices for uPVC conservatory roofs by Global in and around Somerset. Simply get in touch with one of our expert team members today to discuss your no-obligation quote or use out conservatory roof quoting engine to find out a guide price. If you have any questions or queries, simply find out more information by giving us a call on 01278 455326. We look forward to hearing from you!